Budget set, team engaged, and time lines drawn on Gantt charts. Announces the launch of Project Nirvana. Budget set, team engaged, and time lines drawn on new Gantt chart. 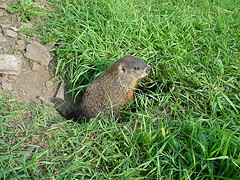 Groundhog peaks out of hole, sees shadow and dives underground.